It is suitable for almost any support or surface, including paper, cardboard, canvas, textiles, wood, fiber boards, concrete, and plastic. 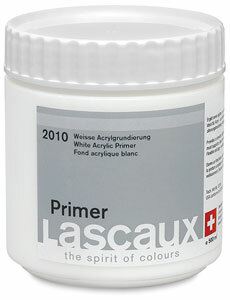 Use it as a primer for acrylics, oils, tempera, and murals. This fast drying primer is elastic and resists aging. 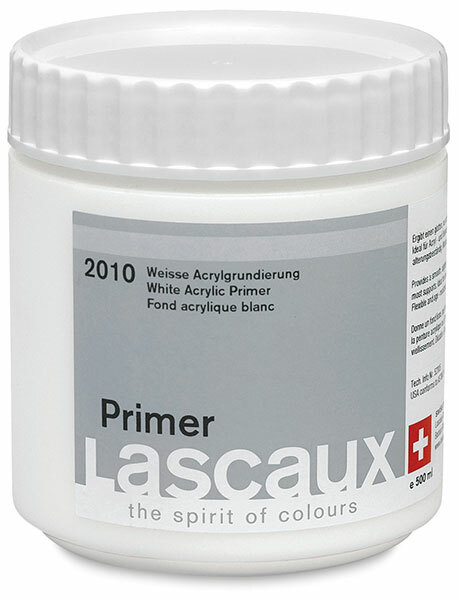 It features a bright white matte surface that is smoother than Lascaux Gesso. Coated fabrics are flexible and can be rolled. ® Lascaux is a registered trademark.